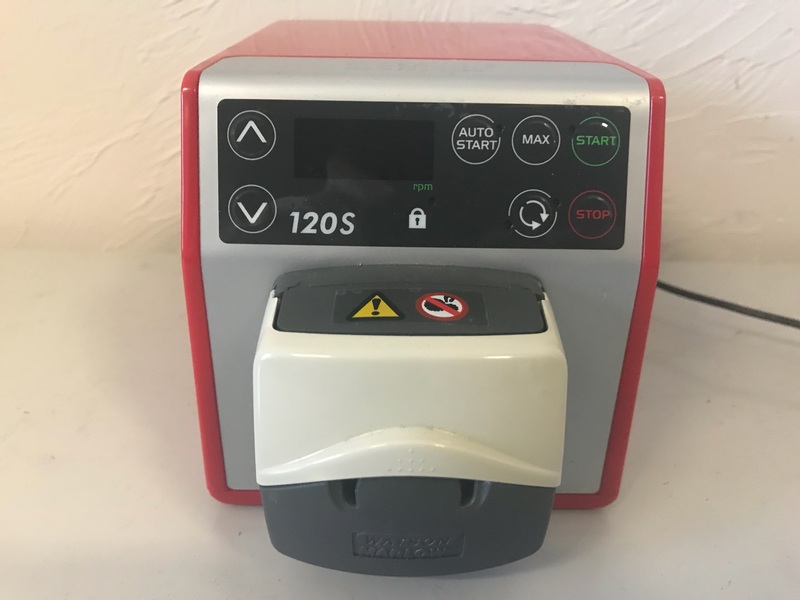 The 120 Series are small, but full-featured, laboratory pumps with simple intuitive operation and four pumphead options to suit any application. Peristaltic pumps are the simplest pump, with no valves, seals or glands to clog or corrode. The fluid contacts only the bore of a tube, eliminating the risk of the pump contaminating the fluid, or the fluid contaminating the pump. Peristaltic pumps can run dry. Peristaltic pumping is ideal for most fluids, including viscous, shear-sensitive, corrosive and abrasive fluids, and those containing suspended solids. They are especially useful for pumping operations where hygiene is important. Peristaltic pumps operate on the positive displacement principle. They are particularly suitable for metering, dosing and dispensing applications. Pumps are easy to install, simple to operate and inexpensive to maintain.